The School of Veterinary Medicine at the University of California, Davis has been a leading center for feline nutrition research, with pioneers such as Dr. James Morris and Dr. Quinton Rogers. Discoveries from University of California, Davis have led to several changes in the formulation of commercial feline foods to combat such disorders as dilated cardiomyopathy and feline lower urinary tract disease. In spite of the many advances in feline nutrition, our knowledge of nutrient requirements for felines is still incomplete. Unlike other domestic species, felines are obligate carnivores. The carnivorous diet provides felines with a ready dietary source of certain nutrients not supplied by an omnivorous or vegetarian diet, thus negating the need to synthesize them. Without evolutionary pressure to maintain the relevant metabolic pathways, felines have lost their ability to synthesize those nutrients within their bodies. For instance, felines have a greatly diminished ability to synthesize retinol (Vitamin A), arachidonic acid and taurine (MacDonald et al, 1984), because these micronutrients are amply present in the tissues of their prey animals. However, most household felines no longer hunt, but rather are fed commercially prepared foods. These foods are often rich in plant-derived nutrients because to supply felines with all-animal diets is significantly more expensive. The trend, therefore, has been to make foods with greater proportions of vegetable-based products and to supplement them with the necessary nutrients. Modern commercial feline diets, even though they are “unnatural,” are highly effective at providing the essential nutrient requirements of adult felines, growing felines, the fetus and the pregnant/lactating queen. Although nutrient deficiencies and excesses are still being discovered, these discoveries are becoming less common and the deficiencies less serious. However, one aspect of modern commercial feline diets that is now receiving substantial attention is the issue of adverse reactions to food. Adverse reactions to foods are composed of a variety of sub-classifications based on the mechanisms of disease. The term food hypersensitivity (food allergy) is reserved for those adverse reactions that have an immunological basis. In contrast, food intolerance refers to a large category of adverse reactions due to nonimmunological mechanisms. The outward manifestations of food intolerance’s and hypersensitivities are virtually identical and include vomiting, chronic or intermittent diarrhea, flatulence and inordinately odorous stools, mucus-laden stools or blood in the stools. Gastrointestinal disorders may be accompanied by skin diseases, such as miliary eczema with scab like lesions, highly itchy lesions around the head and neck or a poor quality hair coat. Weight loss may be pronounced in severe cases of either type of disorder. In a significant proportion of felines with adverse reactions to food, inflammation of the intestinal lining is a prominent feature. Although inflammation is a common feature of many types of feline bowel disorders, the term “inflammatory bowel disease” (IBD) is reserved for those cases where no specific cause can be identified. IBD, the most common cause of chronic vomiting and diarrhea in felines, is a disease in which diet may have an important role. The clinical course of IBD in felines may be intermittent at first, with periods of normalcy becoming shorter. The intestinal wall becomes thickened by an infiltrate of inflammatory cells, and the microscopic and gross surface folds of the intestinal lining are flattened, leading to a great loss of surface area. As the surface area is reduced, the ability of the feline to digest and absorb nutrients is reduced, leading to weight loss in the face of a normal or increased appetite. The stools often become looser and in some cases, more odorous. A sequel of chronic IBD can be intestinal lymphosarcoma (lymphoma). These tumors may occur because of the notorious habit of felines to develop tumors at sites of chronic inflammation. The importance of IBD in felines has been an impetus for several studies at University of California, Davis. The role of abnormal immunological reactions to food components in IBD is the topic of research of Dr. Nick Cave in our Center for Companion Animal Health. Dr. Cave and his PhD supervisor, Dr. Stanley Marks, are measuring antibodies directed against dietary proteins in normal felines, and comparing those with antibodies measured in felines with IBD. It is suspected that in feline IBD, antibodies in the blood will be produced in significant amounts against the main dietary proteins. In a preliminary study, 20 healthy felines fed a commercial diet had measurable levels of food-antibodies in their blood. Whether this is a normal feature of felines or a peculiarity of consuming commercial diets is unknown. This leads to the second question, namely, to what degree does the commercial food manufacturing process lead to abnormal immune responses and could such processes be involved in the initiation or perpetuation of IBD in felines? This group will be addressing this issue by describing the immune responses in healthy felines to dietary proteins fed either raw, or as part of a canned diet. The role of diet in IBD is difficult to study because there are many ingredients within each food that potentially contribute to the disease. A diet that may cause problems in one feline may be perfectly fine in another. Nonetheless, it is reasonable to speculate that felines fed a “natural diet” are less likely to develop IBD than felines fed “unnatural diets.” The natural diet of felines does not contain wheat, milk, soybean, egg or many other ingredients commonly used. Nor does the natural diet of felines contain additives and preservatives such as guar and xanthum gums as food stabilizers, propionic acid and sorbic acids as preservatives, or carrageenan (made from seaweed and shown to cause intestinal inflammation in certain circumstances) (Strombeck, 1999). These ingredients, and many others, are added to commercial diets to improve their appearance to the pet owners and palatability to pets, but may result in an adverse reaction. The natural diet of felines primarily small mammals, with a lesser proportion of insects, reptiles and birds. There is an obvious need for a “gold standard diet” against which to compare and study all “unnatural diets.” Such a diet should be complete and balanced, relatively cheap, easily obtained and may need to mimic the diet consumed by felines during their evolution. The task to develop and validate such a diet was given to Dr. Angie Glasgow. As with many frontiers of science, the public is often ahead of the game in their desire to provide more natural diets with less adverse food reactions. Many pedigreed feline breeders have long supplemented the diet of their felines with up to one-half horsemeat, noting benefits in growth, muscularity and coat quality over feeding commercial diets alone. Many pet feline (and dog) owners are now advocating feeding their animals a diet rich in “bones and raw food” (also known as “barf” diets). “Biologically appropriate raw food” diet is a more scientific name; several other less commonly used acronyms exist. One only needs to search the web using the keywords “barf diets” to get an idea of the immense following these diets have generated. People who feed these diets report that their pets have better coats and are more active (signs of better general health), with far fewer intestinal problems. With the increasing popularity of barf diets, it is time for a word or two of caution. None of these diets have been scientifically studied in domestic felines, a species known to have rather exacting nutritional requirements. The remainder of this report is a summary of our attempts to create a “gold-standard” natural diet for felines. After some thought, we decided on a diet made up entirely of rabbit. Rabbits were readily obtained from a rabbitry producing meat for human and exotic animal consumption, and were of comparatively low cost. Mice may have been more appropriate, but procuring and processing this number of mice was not practical. Moreover, in places where rabbits are abundant, feral felines have been known to choose them as their primary prey (Molsher et al., 1999). Since felines eat most parts of their prey and essential nutrients are concentrated in different organs, the rabbits were not skinned, dressed or cleaned, but rather ground in their entirety. The ground whole rabbit diet was frozen in smaller batches and thawed prior to feeding. Twenty-two purposefully bred felines were used for this study – 13 males and 9 females of two age groups (7 and 20 weeks). All of the felines were neutered during the course of the study. Felines were randomly assigned to one of two groups according to age and gender; one group was fed our raw rabbit diet and the second group was fed a premium brand of commercial feline food that had been tested for its ability to sustain normal growth in normal kittens. The felines were fed free choice with new food placed in their bowls twice daily to ensure that the food was always fresh. The amount of food was continually increased as the felines grew so that only a small amount was left in the bowl after each meal. The felines were housed in a colony with four felines per bay, sharing litter boxes and food bowls, mimicking the situation in many catteries and multiple feline households. The kittens and adolescent felines used in this study originated from a breeding colony that was known to have a number of common intestinal pathogens. Indeed, several different common intestinal pathogens (Cryptosporidia, Giardia and Campylobacter species) were present in the stools of virtually every feline. Most of them also had loose stools to varying degrees, although they were outwardly healthy. The felines readily consumed both diets, but the palatability of the raw rabbit was noticeably greater; the felines ate it more rapidly and aggressively. After one week in the study, the felines on the rabbit diet all had significant improvements in their stool quality based on a visual stool grading system (developed by the Nestlé-Purina PetCare Company). After one month, the felines on the rabbit diet all had formed hard stools, while the commercial diet felines had soft formed to liquid stools. These differences persisted to the end of the feeding trial. The felines that were fed the whole rabbit diet outwardly appeared to have better quality coats, but objective measurements were not made. Interestingly, we could find no relationship between the type of diet consumed and: 1) the rate of growth, 2) degree of inflammation in the tissue lining the intestinal tract, or 3) the numbers of bacteria in the upper small intestine. The numbers of felines shedding pathogenic type organisms (Giardia and Cryptosporidia species) were on average slightly higher for the felines that were fed the raw meat diet. Therefore, it appeared that the raw rabbit diet did not have its beneficial effects on stool quality by reducing pathogenic organisms in the intestine, altering the numbers of bacteria in the small intestine or by diminishing the levels of inflammatory changes in the intestinal wall. Although it appeared that the raw rabbit diet was significantly beneficial for the stool quality and appearance of health in the feline’s, the sudden and rapidly fatal illness of one of the felines that were fed the raw rabbit diet for 10 months was chilling and unexpected. The affected feline was diagnosed with dilated cardiomyopathy due to a severe taurine deficiency. Moreover, 70% of the remaining raw rabbit diet fed felines, which appeared outwardly healthy, also had heart muscle changes compatible with taurine deficiency and could have developed heart failure if continued on our raw rabbit diet. For the remaining three months of the study, the raw rabbit diet was supplemented with taurine and taurine levels returned to normal. How could a wild type diet result in taurine deficiency? The raw rabbit diet we fed contained the minimal requirement of taurine and was therefore not considered deficient for a highly digestible diet. However, the amount of taurine available to the feline in a diet depends on a number of factors, such as the amount of protein, the quality of the protein, whether the diet is cooked or raw, and what other ingredients are present in the diet that might increase the amount of taurine needed (Backus et al., 1998) (Park et al, 1999). It is also possible that bacteria in the carcass of the ground rabbits or in the intestine of the felines broke down some of the taurine. Neither of these circumstances would be detrimental to diets containing excess levels of taurine, but would be detrimental if the diet was borderline deficient. Vitamin E levels in our raw rabbit diet were low and this can cause the meat to lose taurine as it is processed and ground (Lambert et al., 2001). This study demonstrates positive and negative effects of feeding a whole ground rabbit diet for felines. The growth curves of felines on both diets were identical, indicating the raw rabbit diet supported normal growth. The single most positive aspect of the whole rabbit diet was the stool quality. Felines fed the raw rabbit diet consistently had extremely firm, non-odorous and well formed stools. By comparison, felines fed the commercial feline food never had stools as well formed, and usually had stools ranging from unformed to soft-formed. However, the reason(s) for the differences in stool consistency of the respective diets is unknown. Felines fed the raw rabbit diet appeared to have better quality coats, something already claimed by feline breeders feeding horse meat supplements. The most negative aspect of feeding the raw rabbit diet exceeded all of the positive attributes, however. The raw rabbit diet should have been balanced, but nevertheless caused severe taurine deficiency over time in all of the felines fed this diet. Taurine deficiency not only affects the heart, but also the reproductive health of queens and viability of fetuses and kittens. 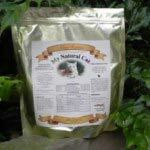 The results of this study have shed further light on the creation of an optimal natural diet for maintaining feline intestinal health. This represents a step towards the creation of a “gold-standard” diet that may be of benefit for the management of IBD in the feline. The key take-home message for feline owners and breeders is that a natural diet may not always be as healthy as imagined, and that even measuring nutrient values may not predict how a diet will perform after being fed for many months. Furthermore, studies like this suggest that there is still much to be learned about the comparative effects of commercial diets and natural foods on stool quality and general well being. It is clear that the ideal commercial feline diet has yet to be developed for maintaining optimal intestinal health. In addition, caution should be heeded when feeding raw diets due to the potentially fatal consequences described with respect to creating a taurine deficiency. Acknowledgements: The investigators are grateful for the generous support provided for these studies by the Leonard X. Bosack and Bette M. Kruger Charitable Foundation. Additional support was provided by The Winn Feline Foundation and George and Phyllis Miller Feline Health Fund of the San Francisco Foundation.